My trip to JWOC this year was amazing. One of my favourite things this year was getting to know all the other teams better, as we were all staying in the same accommodation. Placing 3rd in the sprint distance opened my eyes to the fact that I can be up there with the World’s best. Before the JWOC sprint race my dream was the top 10 and I knew I would be happy if I placed in the top 20… but coming third in the race was UNREAL and an experience I will never forget. In the last three JWOC’s we have had Angela’s 6th in the sprint, Matt’s 1st in the middle, my bronze and Nick ‘cracking’ the top 15 twice during JWOC 2013. 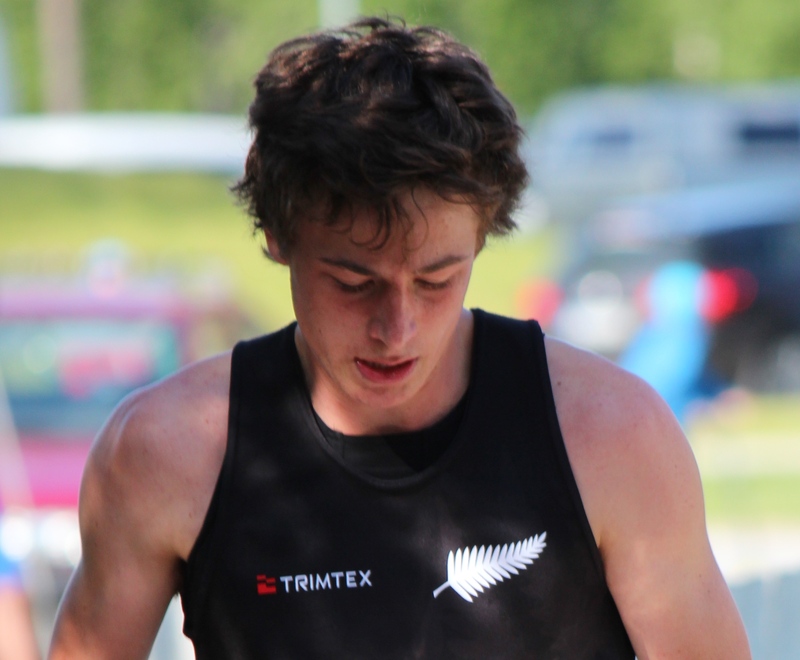 New Zealand Orienteering is starting to make a name internationally. I think this success will continue with the talent that New Zealand is continuing to develop. The other awesome spin-off from my JWOC bronze medal, was receiving the 2013 College Sport Wellington Sportsman of the Year award – a great surprise as orienteering is not usually given the same recognition alongside the more main-stream NZ sports. Unfortunately since my trip to Europe, where I tore my calf muscle in the finish chute of a race at Oringen in Sweden, my training has been put on hold. I had a large break from all exercise before starting to get back into racing and training. This break was good for me, as I have not had many breaks over the last 3 years competing in 4 different sports. The enforced break helped to refresh me for my next phase of training. After competing well in Australia, off very little training, I gained confidence again. I started to build up my training, keeping an eye on my calf making sure it was well warmed up and strapped. It seems to have recovered now, just in time for the New Zealand Secondary Schools Athletics champs where I will be competing in the Open 2000m steeplechase event – an event I have come 4th in for the last two years. After the steeplechase event my focus will switch to orienteering, and I am looking forward to concentrating on just orienteering, rather than three or four sports at the same time. I will stop playing hockey but since athletics and cross country tie in perfectly with orienteering I can keep racing in these sports. Woodhill to Whaka MTBO Carnival – excellent cross training and a fun start to the new year. Sprint the Bay 2014 – awesome ‘back to back’ sprint racing with 6 sprints in 3 days – I think STB has been key to my achievements in the last 2 year’s JWOC and WOC events. North Island Champs – on the new Riverhead Forest map that Nick has mapped and rumour has it this is the JWOC trial weekend. NZ Orienteering Champs – my chance to trial for the WOC team and hopefully make the sprint and sprint relay team. This year I plan to prepare mentally and technically a lot better for JWOC. I would like to get a coach specifically for orienteering and run a lot more trainings that involve navigation. I think my preparation during the training week and the week leading up to JWOC was a lot better in 2013 and will look to follow a similar plan for JWOC 2014. 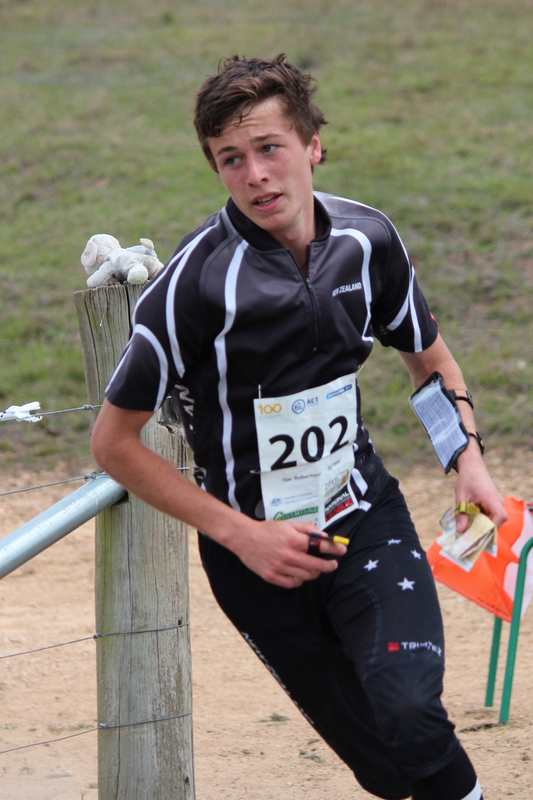 The NZ team for JWOC 2014 could be a very young team. Only one of the 6 girls in the 2013 team is still young enough to trial for the team -this opens the door for the younger NZ girls. Nick Hann and I have been pre-selected for JWOC 2014, so only four spots are left open in the men’s grade. Alistair is the only 2013 JWOC guy who is too old to return and with tough competition from the up and coming Men’s U18 & U16 grades there could be some new faces in the team. It will be interesting to see the results at trials as there will be competitors from both the U20, U18 & even U16 age grades who do not usually race each other going ‘head to head’ competing for the limited places. I will be focusing on the JWOC sprint distance plus the long and the relay. My main goal is to make the podium again in the sprint. I am also planning a lot more training for the long distance this year, as the races seem to be typically very physical and this can suit me. In the long distance I want to improve on my 25th placing from 2013. For two years now we have believed we have the men’s team that has what it takes to make the podium in the JWOC relay – Nick, Matt and I were 7th in 2012. I think that in 2014 we have the chance to have a serious go at making the JWOC relay podium. If three decent runs can be strung together there is no doubt that New Zealand can be up there with the world’s best.